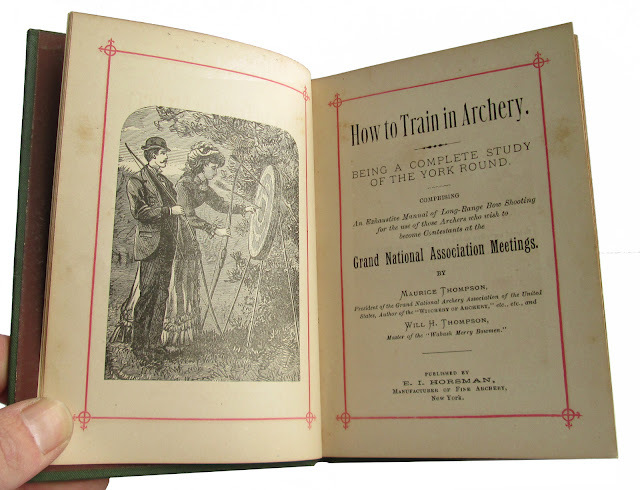 This is a complete study of the "York Round comprising an exhaustive manual of long range bow shooting for the use of those archers who wish to become contestants at the Grand National Association Meetings." Book is in good to very good condition with tanned pages, some foxing and stains to the front pages, wear, and some soil. 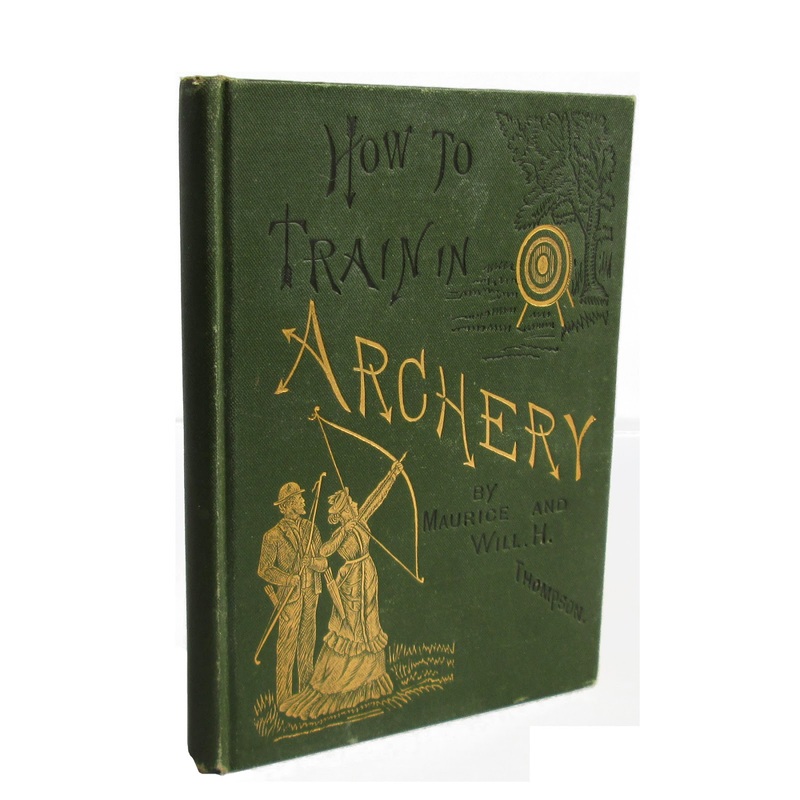 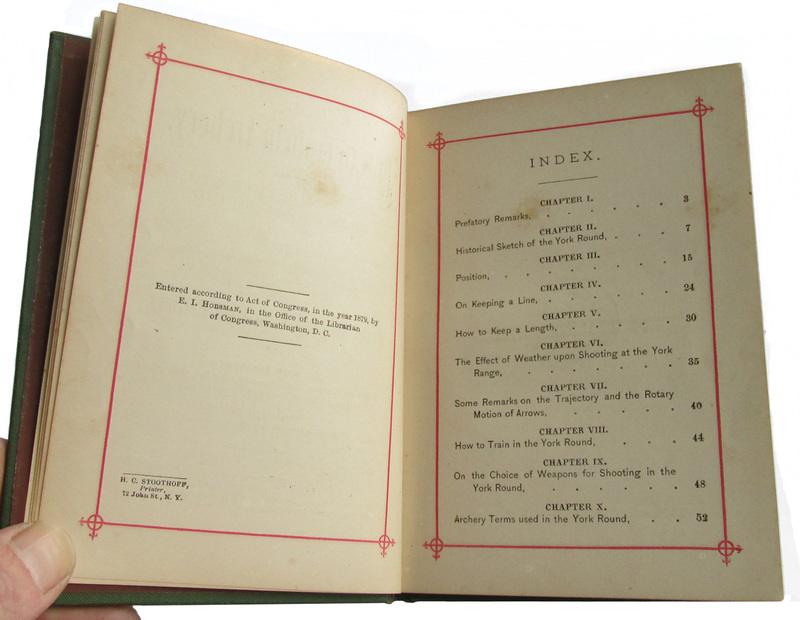 Very scarce, especially in the green binding (other examples are usually in brown). 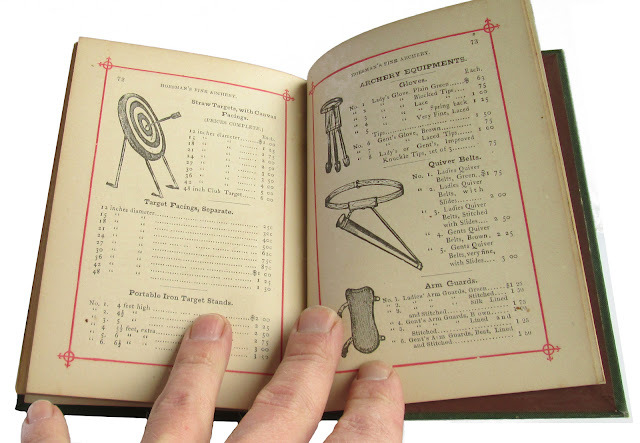 74 pages, 4 inches by 6 inches.